With more than 20 years of experience in communications, Annabel Beyra has led integrated programs for companies in a wide array of industries including technology and consumer electronics, travel and tourism, real estate, healthcare, food and beverage and logistics and transportation. In 2005, Annabel was named a “Heavy Hitter in Public Relations” by the South Florida Business Journal for her work in creating strategic public relations campaigns that help companies meet their communications goals. During her time as vice president of public relations for GrupoUno International, a full-service marketing communications firm, Annabel’s clients included Palm Latin America, Samsung, Yahoo! en español and DHL. 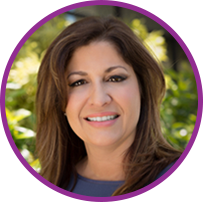 At Fusion, she has represented such clients as VMware, AOC, Medtronic and CBRE. Annabel has demonstrated her mastery of strategic communications by earning the Accredited in Public Relations designation from the Public Relations Society of America. She has served PRSA’s Miami chapter in numerous leadership roles including 2011 chapter president and 2016 district conference co-chair. Beyra earned a Bachelor of Science in Public Relations and a Master of Science in Psychology from Nova Southeastern University. She also studied at Florida International University.